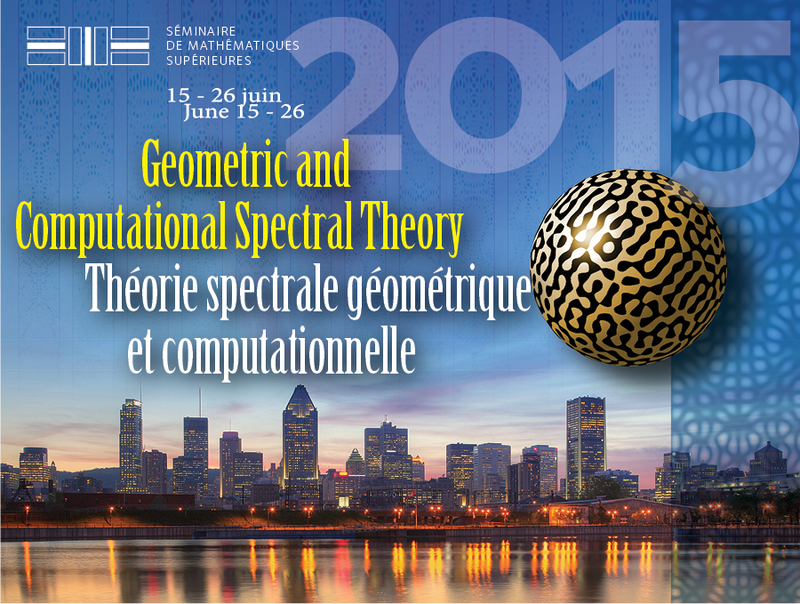 The 2015 Séminaire de Mathématiques Supérieures will feature about a dozen minicourses on geometry of eigenvalues, geometry of eigenfunctions, spectral theory on manifolds with singularities, and computational spectral theory. There has been a number of remarkable recent developments in these closely related fields. The goal of the summer school is to shed light on different facets of modern spectral theory and to provide a unique opportunity for graduate students and young researchers to get a "big picture" of this rapidly evolving area of mathematics. The lectures will be given by the leading experts in the subject. The minicourses will be complemented by guided exercises sessions, as well as by several invited talks by the junior participants who have already made important contributions to the field. A particularly novel aspect of the school is the emphasis on the interactions between spectral geometry and computational spectral theory. We do not assume that the students are familiar with computational methods, and therefore we intend to provide tutorials where the participants will learn to develop and implement algorithms for numerical analysis of eigenvalue problems.